Find My Workspace lists over 95% of the business centres market in Southend-on-Sea. Simply click Request Quote to check pricing for one office, or Add to Basket for multiple offices. This new modern, flexible office space is situated in the heart of Southend-on-Sea. Recently refurbished, the centre offers a perfect solution for any kind of business – whether it is a startup looking to put down some roots, or growing businesses targeting a collaborative office space but not able to commit to a long term lease. 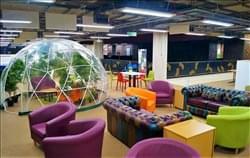 The main hub of the centre consists of 28 desks, with a dedicated meeting area housing up to 8 people, two meeting ‘pods’, a dedicated ‘chill out’ area complete with sofas and tables, and kitchen facilities. The centre also offers regular business-orientated workshops, giving advice on growth and nurturing of your business; these workshops are hosted by industry leaders and come with glowing reviews. 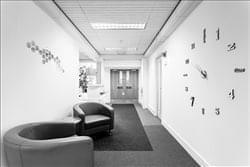 The centre offers a wide range of near-essential amenities: 24/7 access for all tenants with a secure key fob system; a central Southend mailing address; dedicated landline telephone; and access to unlimited gigabit internet and free WiFi. Situated in the sea side town of Southend on Sea this traditional centre offers you the opportunity to start or expand a business in a well connected area , close to major train networks and the Southend Airport. The work space can be used for numerous business opportunities and entrepreneurial projects are highly encouraged. The space itself covers 4000 square feet and can be divided into floors. Because it comes under a B2 workshop license the centre is very flexible for what it can be used for. Whether that be a fitness centre or a gym , a workshop area or storage; the centre takes pride in being able to cater for as many projects as possible. Parking isn’t a problem either as the centre has its own onsite facilities, however one of the floors can be converted into an extended area for extended use. 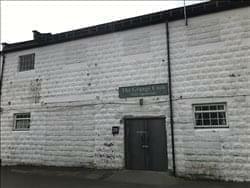 As the centre is unfurnished and on a leased contract no amenities are included. As a result this allows potential tenants the ability to have more control over their overheads which can be better for business especially in the long run. It’s different, its cool, its relaxed and informal. With in-house business advisers, coaches and mentors and free business growth events, this is the place to do business in London’s Thames Gateway. 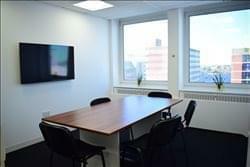 This business centre offers a great Southend location and a whole host of amenities. The centre has some lovely serviced suites on offer with flexible terms available to suit the needs of any business – from local to multi-national businesses. The spaces are self-contained and rent is all-inclusive with immediate availability. Spaces available range from 1 to 2 person offices up to spaces for 8 to 10 people. On-site amenities include 24 hour access, allowing for flexibility with working hours, cycle storage, an onsite café, CCTV, a fitness centre, meeting room availability and reception services.